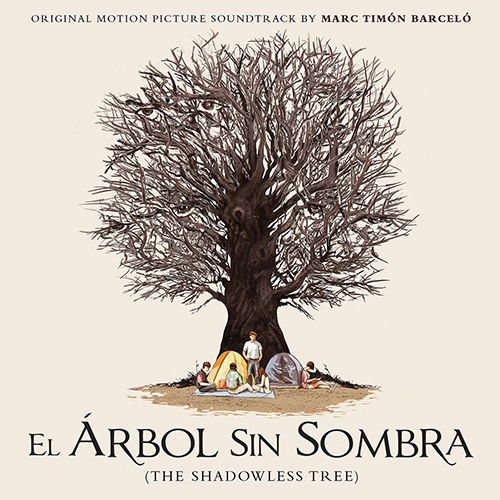 ScreamWorks Records presents the digital and CD premiere of El árbol sin sombra, the first horror score of composer Marc Timón Barceló (The Little Wizard, Coliseum) which won the Jerry Goldsmith Award for Best Music at the 2014 Film Music Festival at Cordoba. Co-written and directed by Xavier Miralles, El árbol sin sombra tells the story of Ingrid (Mima Riera) and Tina (Paloma Alma), two girlfriends who have chosen different paths in their lives. Before Ingrid leaves for college, the two decide to go camping one last time… The girls however meet another group in the forest and their conflict with them reveals that the link they thought was so strong is actually quite weak…. Though it was written for a horror film, the music for El árbol sin sombra is actually more focused on the deteriorating relationship of Ingrid and Tina than the horror that puts them in jeopardy. As the composer explains: “The score is based on a main theme which gives life to the rest of the music in just a few notes: a single piano melody with strings contains the mystery, the loneliness and the fear in the story. By deconstructing the main theme, many more other themes, colors and textures are born from this initial idea. Its structure is simulating a heartbeat for every two measures, the melody is born from his own echo.” Apart from the score, the soundtrack also feature the end credits song entitled ”Cold. Composer Marc Timón Barceló was Born in Castelló d’Empúries in 1980 and has shown great talent and creativity at an early age. He first graduated in journalism before getting his degree in composition from the prestigious ESMUC (High School of Music of Catalonia) – his teachers included Albert Guinovart (orchestral composition) and Arnau Bataller (film scoring). Keeping a versatile career, Timón premiered a piano concerto, songs for voices and orchestra and a handful of songs for children. The composer’s more recent credits include Habanera (2007) and Witches (2010), the animated feature The Little Wizard (2013) and the historical spectacle Coliseum (2014) – the latter two are available from MovieScore Media.